There is the ongoing question about “good debt” and “bad debt”. Student loan debt always seems to fall into the category of “good debt” because it’s an investment into our future. This debt is supposed to enable us to find high paying professional careers and advancement in the economy. But, what if the world has changed and with it, the labeling of student loan debt? As a new graduate physical therapist, in 2014, I had over $150,000 of debt to my name. You may be thinking that I went wild in college to accrue that high amount of debt but the hard truth is that many graduate students are leaving college with easily six figures or more of student loans. I slept on just a mattress and ate peanut butter and jelly sandwiches for almost every meal. I remember going getting in the check out line at the grocery store, only to have a panic attack and return almost all of my food! My debt was simply the result of my extremely high cost of tuition! There were many days during school and after graduating, that I couldn’t look myself in the mirror. My student debt was like huge scar on my face, I was so angry at my decision to go to graduate school. I literally felt as if I had ruined my life. But, taking a leap of faith in my career track turned all this around. 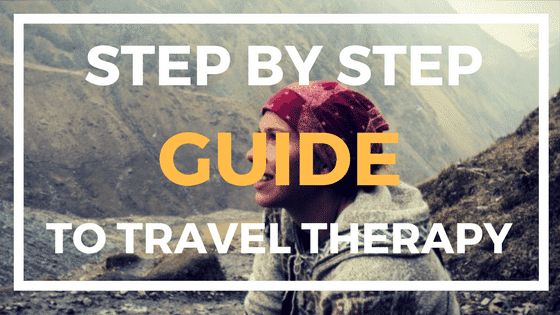 I decided to become a traveling physical therapist. Locum Tenens or traveling is a field of short-term workers. A variety of professions can find locum tenens positions including: physical therapy, occupational therapy, physicians, dentists, nurses, healthcare management, and IT. Employers may face temporary staffing shortages and they hire locum tenens employees to fill these positions. 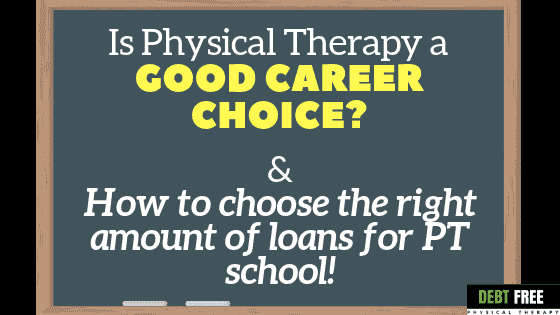 As a traveling physical therapist, I was able to earn 6 figures as a fresh PT graduate. Having a salary that was almost double what I would ordinarily earn was the light at the end of tunnel for me. 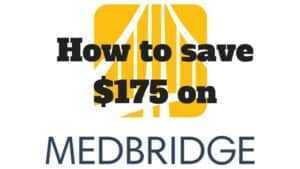 With this higher income, I was able to easily pay my bills plus add to my savings account. I also no longer had to work overtime and per diem. My stress level and depression quickly faded now that I could spend more time with my family and actually build a life. So was becoming a physical therapist “good debt”? Is getting a graduate degree still “good debt”? I feel that I was lucky. Physical therapists do not generally have high salaries – at least compared to the other healthcare professions. If I hadn’t taken a risk with traveling PT, I would have never made $100,000 a year, and I think I would still be living out of cereal boxes and barely scraping by. I think it really depends on the type of degree you choose. According to www.debt.org, Americans carry more than $1.4 trillion in student loan debt (as of 2018). But this student debt would be perfectly fine if you, for example, became a petroleum engineer and made $96,000 right out of college (www.payscale.com). It also largely depends on how much debt you take out for your degree in relation to your potential earnings. For example, if you are choosing to get a degree in a profession that only makes $40,000 a year yet your student loan debt is going to be $200,000, than the likelihood of you paying off this debt is very low. As a result, I would categorize this, as “bad debt” because this is a debt that will add stress, is impossible to pay off, and will not put you into a high earning career track. So how can you figure out if you will have the right type of debt to income ratio if you haven’t graduated yet? Research potential salaries that you may be earning after graduating. 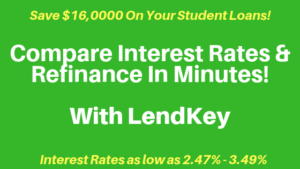 Calculate how much you will owe in student loans after graduating. Now compare your salary with how much you will owe. Ideally, your total student loan debt should be less than your annual starting salary. Yet, many of us young adults are graduating with double to triple the student debt as our starting salary. I was supposed to earn $65,000 a year and I had $150,000 in debt. If it weren’t for traveling PT, I would strongly label my loans as “VERY BAD” especially when they were causing me so much emotional harm. But, what if it’s too late and you already took out your student loans? There are many new graduates in a variety of professions struggling to over come their student loan debt. Think outside of the box. Get creative with unique careers or jobs. To earn more money, you may have to take a risk, but that risk may be worth the reward! Find other ways of earning extra income outside of your regular job. This could be over time, per diem, or coming up with side hustles like selling clothes on Amazon. You can click here to read more about my top side hustles for PT’s! Track your money and budget. Grow your skills to move up in your career track or to help you shift into a new career all together. Be savvy with investments and retirement contributions to help passively grow your income.